MARUAH is deeply troubled by the recent HIV data leak. 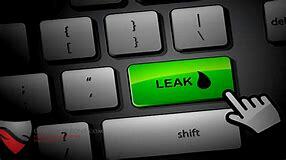 We strongly condemn the leak, which violates the right to privacy of persons with HIV and is a reprehensible act. We stand in solidarity with those affected, and encourage the public to respond with empathy and compassion. We call on the government to step up public education efforts, so that this incident does not affect the willingness of at-risk persons to get tested or access help. We also believe the government should introduce anti-discrimination legislation, so that persons with HIV need not live in fear of the stigma damaging their lives and careers. The handling of the data leak also lacks transparency. The government did not contact and inform all the affected individuals when the leak was discovered in 2016. This, and the fact that the government did not disclose the leak to the public until forced to by events, risks undermining confidence in the protection of patient confidentiality. Such incidents need to be handled with transparency and accountability for Singaporeans to trust that our personal data is being protected. « Should the government be allowed to hold the financing of social services hostage to buy votes? When it comes to renumeration…they claimed that they are NO 1 , therefore the need for “Obscene salary”. Talk BIG,…but in reality cannot compare themselves even to Malaysia . Claimed that they can make us to 1st world,…but in reality,..cannot even deliver a swiss standard , since donkey years ago until now ! A masterful piece on how to say nothing while repeating what everyone knows anyway. Well done! Who said we aim to take part in the World Cup by 2010 ? And who said we will achieve Swiss standard of living ? 2019 already, and we are miles away….. All they can do is “kong”, but cannot deliver. See the scale of their incompetence ?